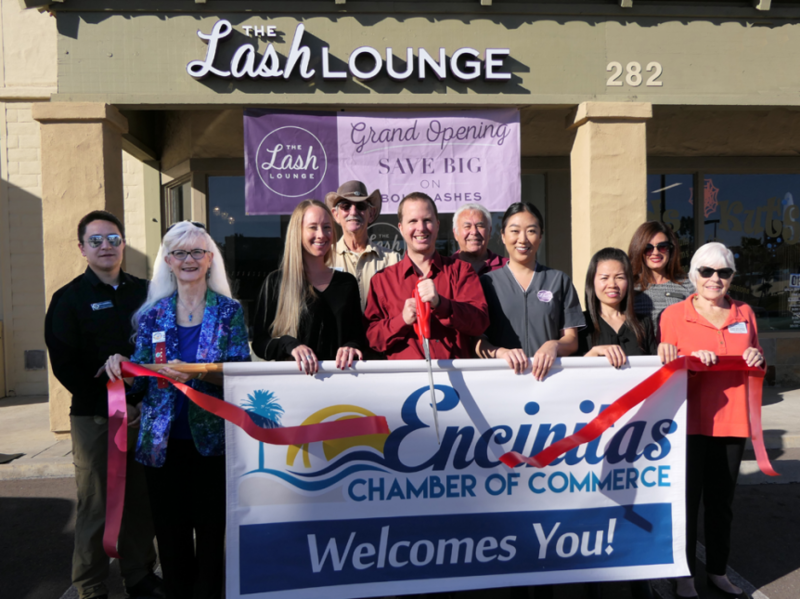 The Lash Lounge in Encinitas specializes in semi-permanent eyelash and eyebrow extensions, lash perming, and more, providing a low-maintenance beauty alternative for their guests. Their stylists will use different lash extension curls, thicknesses and lengths to customize your look. Their award-winning salon design seamlessly blends a lobby area, cosmetic counter and treatment room to create a unique customer experience. The Lash Lounge’s Gold Standard of quality and customer service has set them apart and continues to guide their approach to treat every customer’s individual needs, leaving them feeling comfortable,confident and cared for. Experience their brand new salon near Homegoods at Camino Village Plaza in Encinitas.